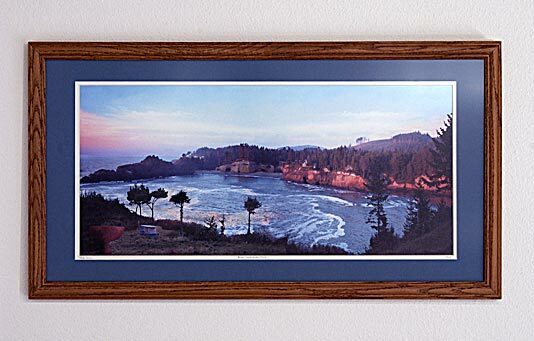 This Pacific Coast panorama is a Whale Cove sunset photograph. All of our pictures are maintained in digital format. They are also available as small web files or large files suitable for wall prints. Here's a look at Whale Cove with an oak frame and blue and white mats. We no longer frame pictures but you must have a Frame Shop near you.